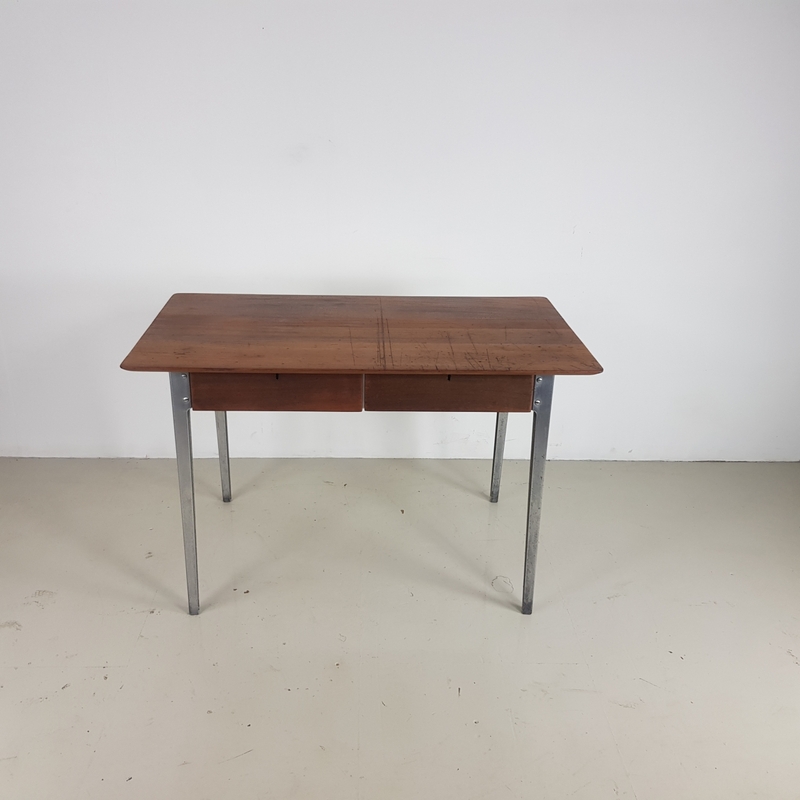 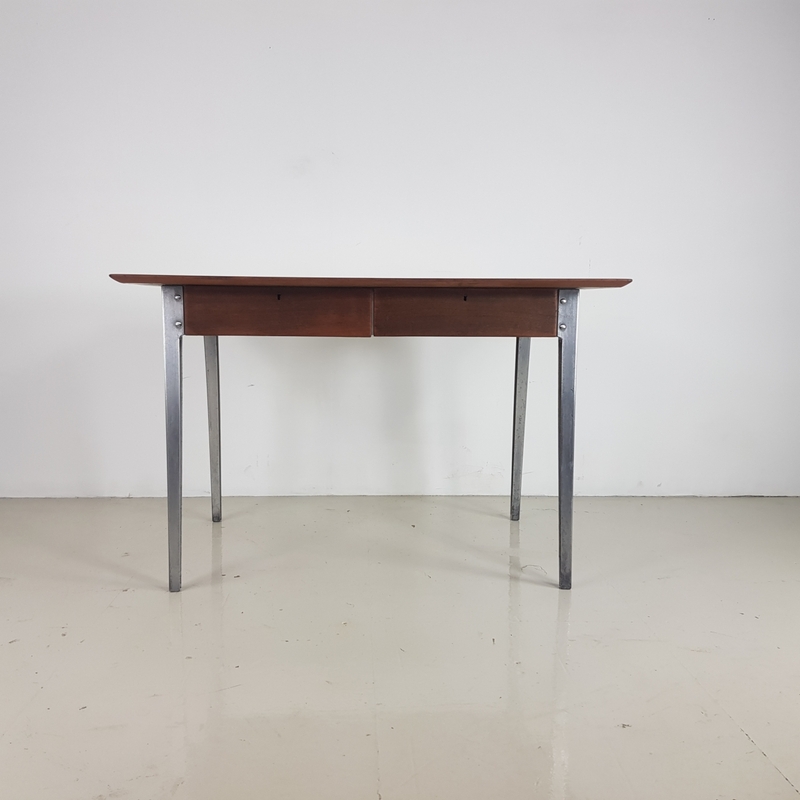 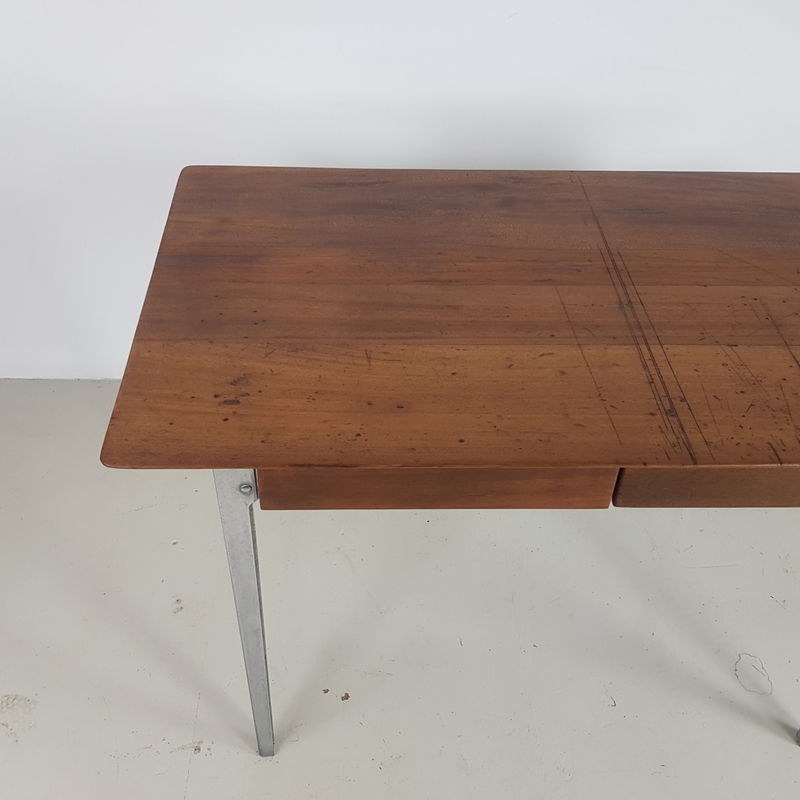 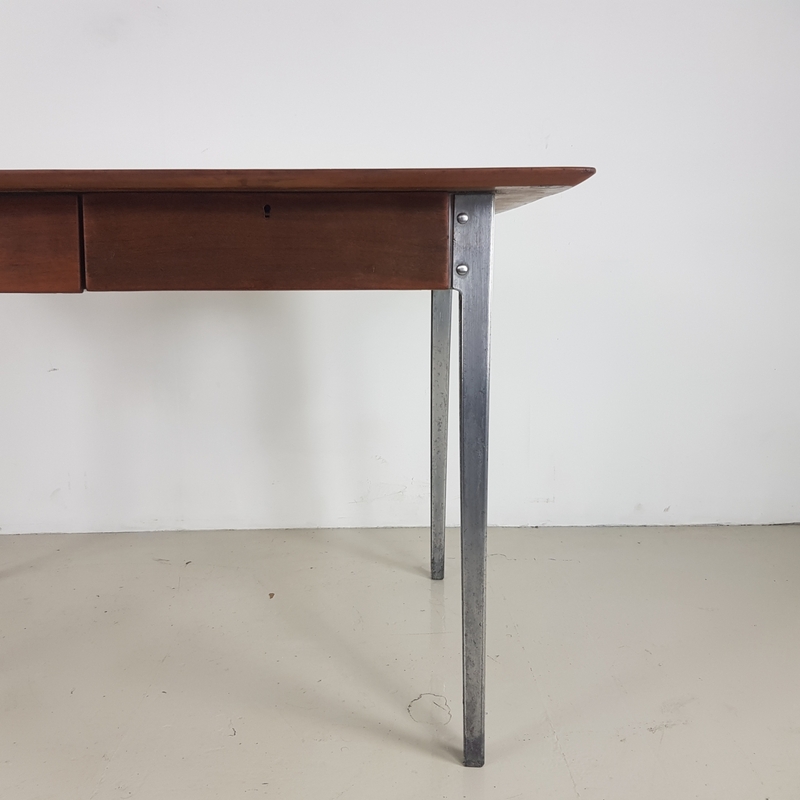 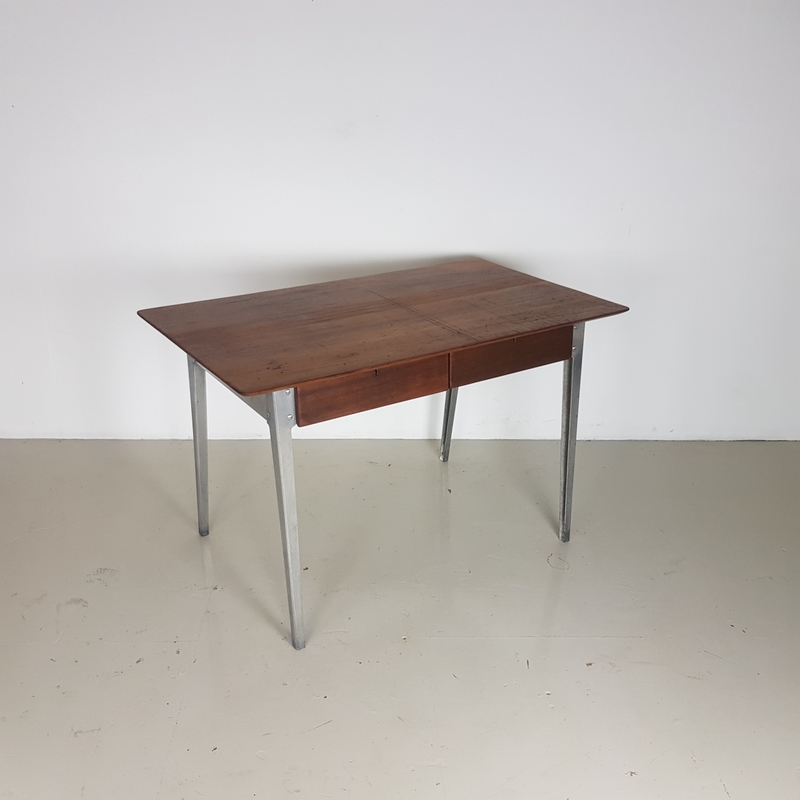 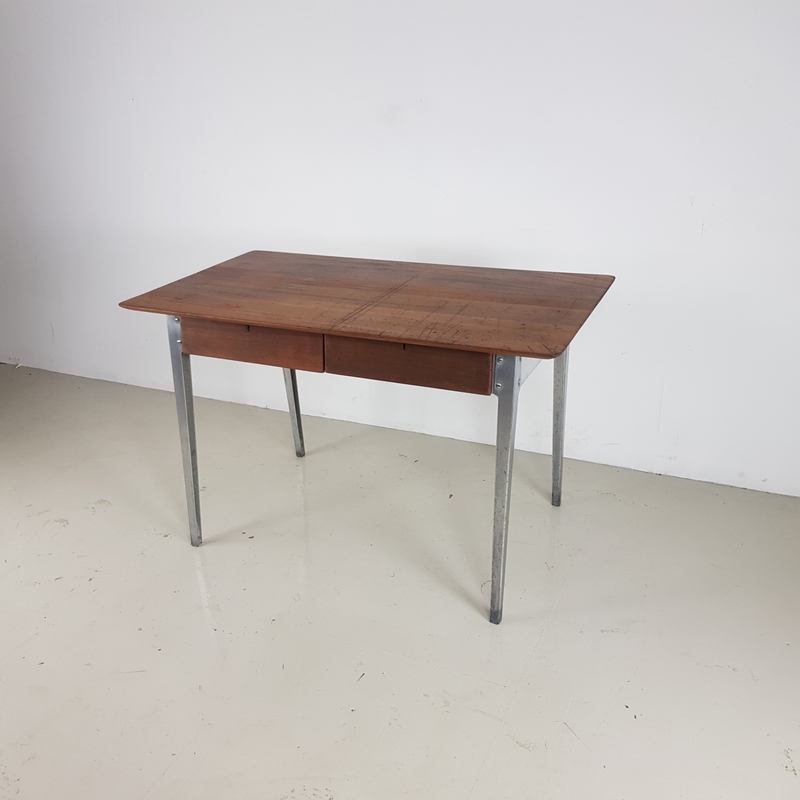 Lovely vintage industrial masters desk with 2 pull out drawers dating from the 1950s. 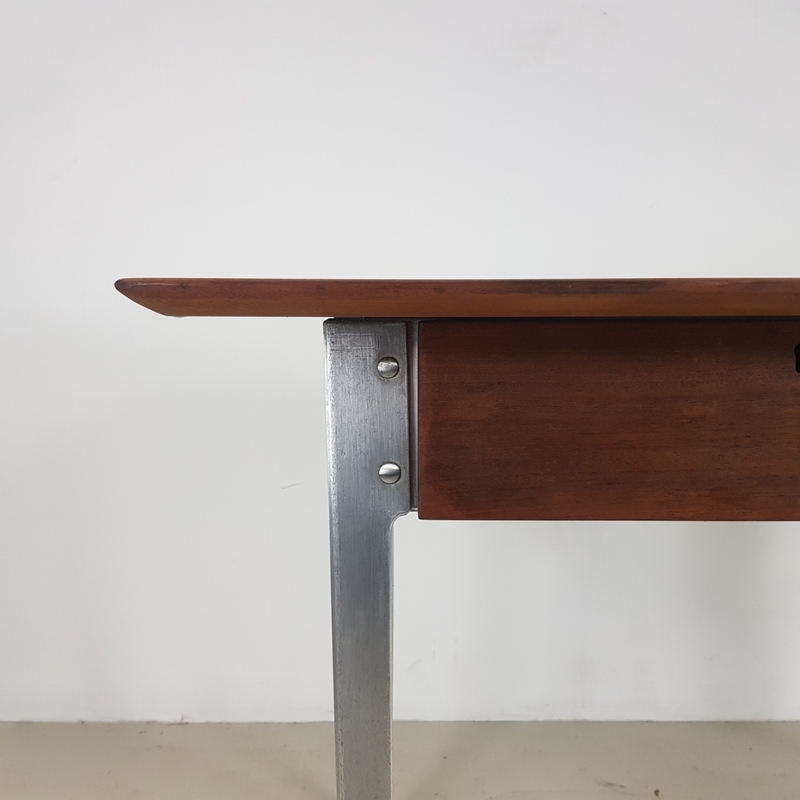 Made with solid Teak top and cast aluminium frame. 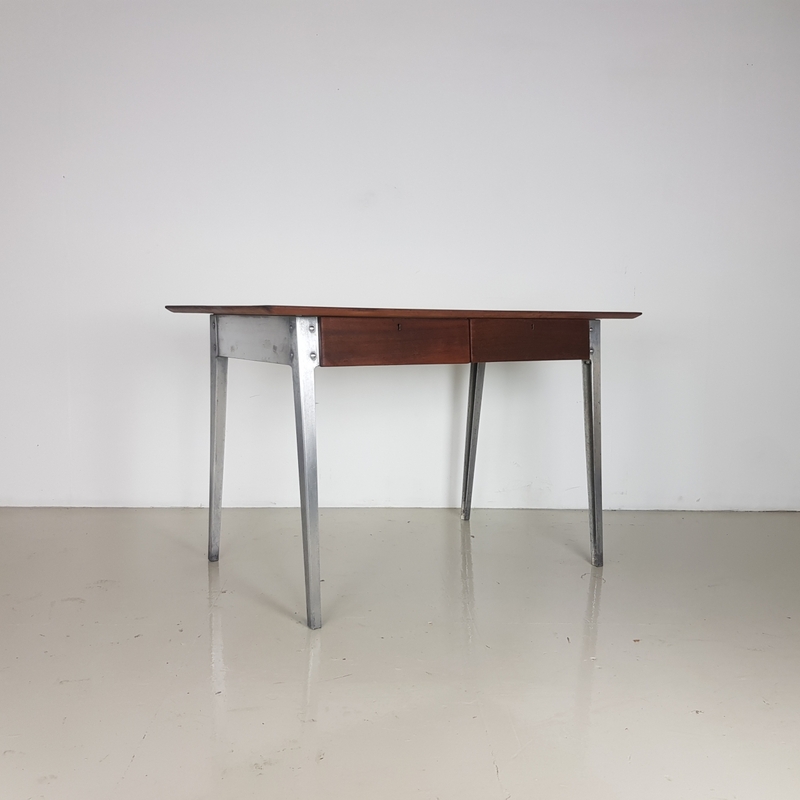 Model number ESA 6212. 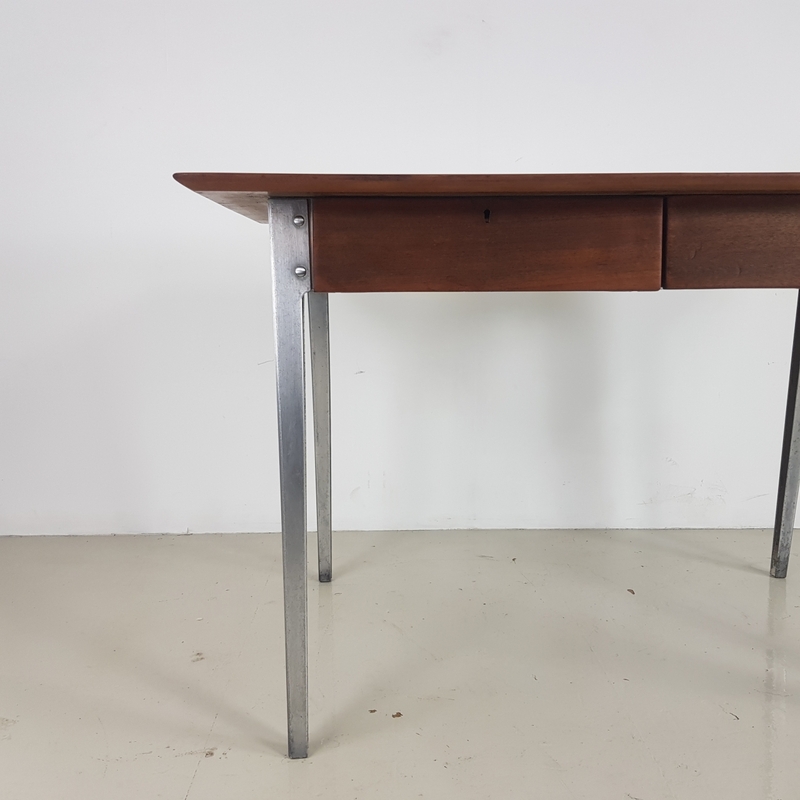 This desk is the rare double drawer version. 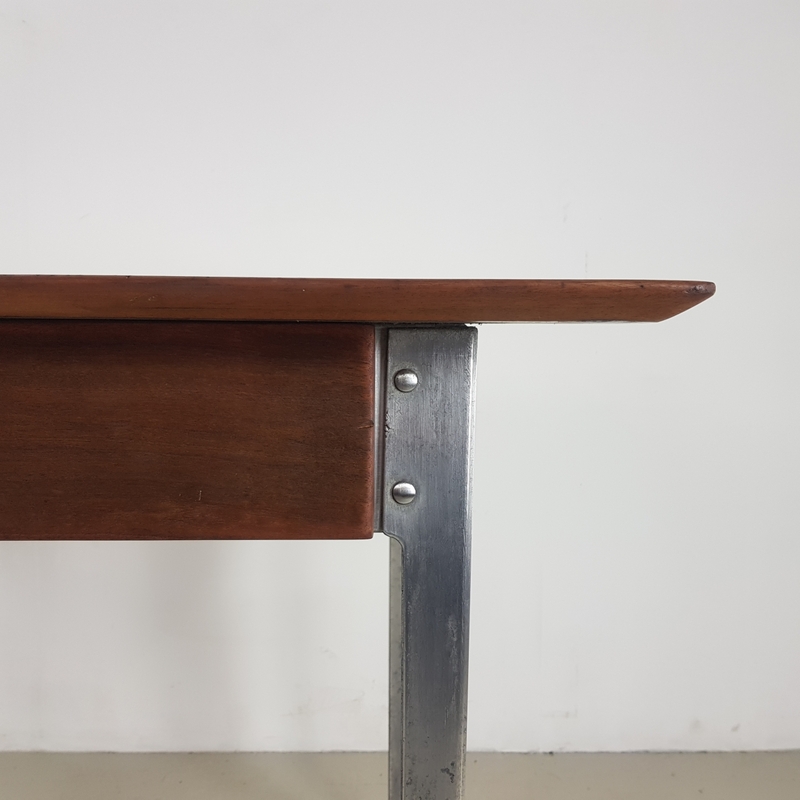 In good vintage condition - this piece comes from a working industrial environment and so has signs of wear and tear commensurate with age i.e bumps, scuffs etc, all adding to the character of the piece. 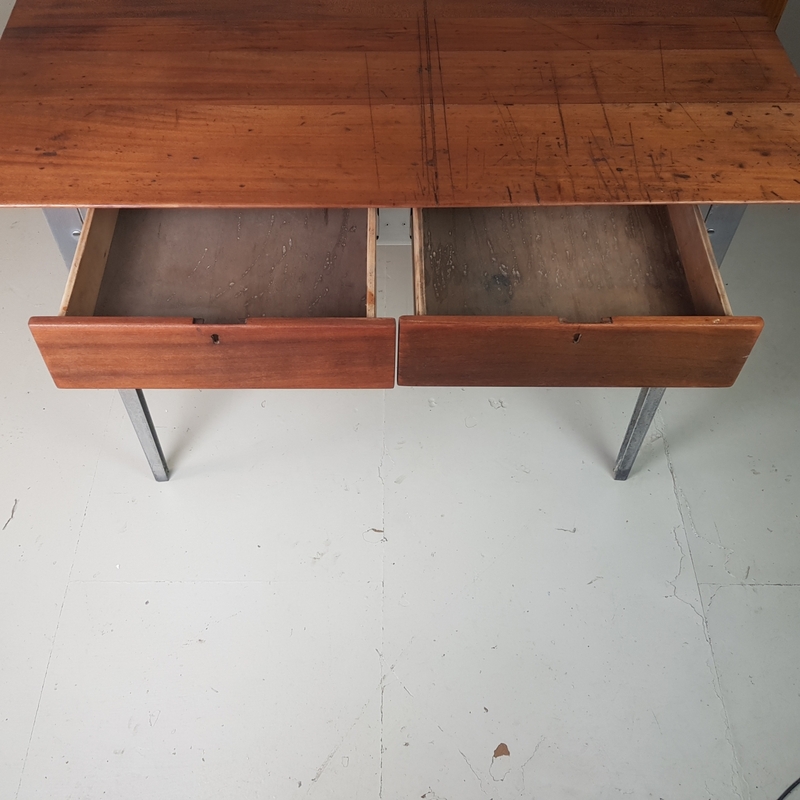 Drawer: 37cm x 42cm x 8cm. 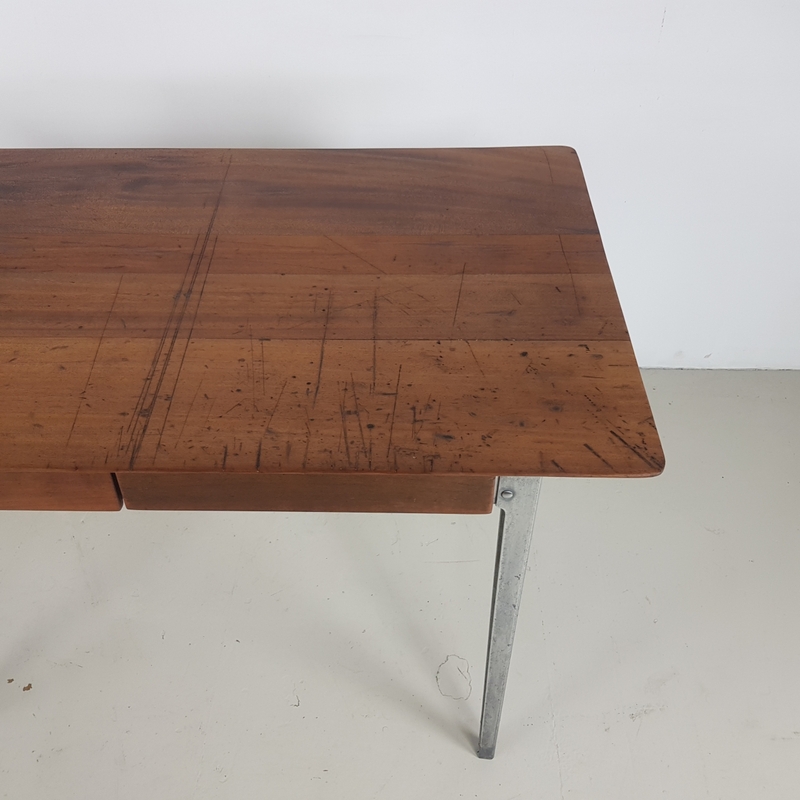 Great as a kitchen table or as a desk.